Zabbix is an open source software for monitoring servers, cloud services, virtual machines and many more. 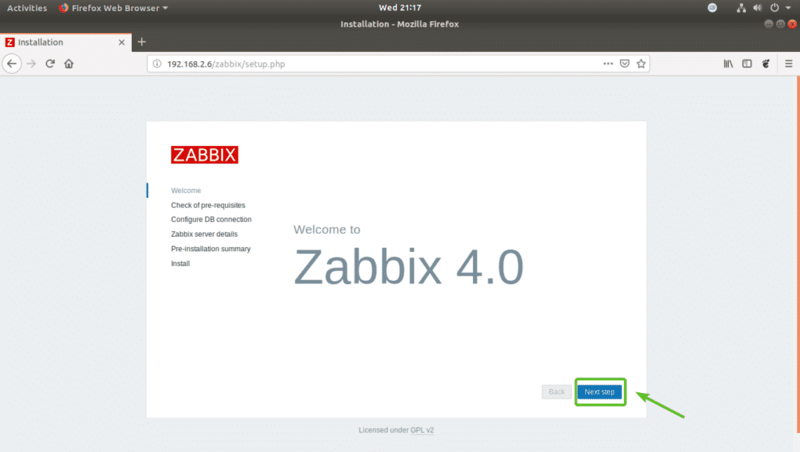 In this article, I am going to show you how to install Zabbix 4.0 on Raspberry Pi 3. So, let’s get started. 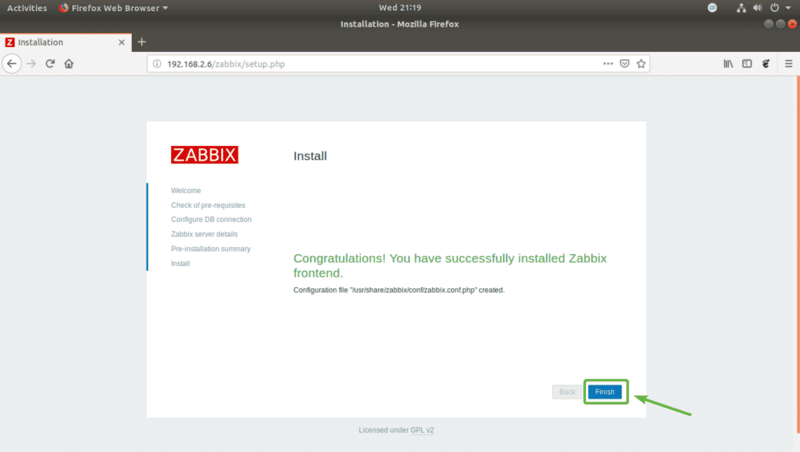 You must have Raspbian OS installed on your Raspberry Pi 3 in order to install Zabbix on Raspberry Pi. Zabbix is not available in the official package repository of Raspbian. But you can easily add the official Zabbix package repository on Raspbian and install Zabbix. The DEB installer file should be downloaded. 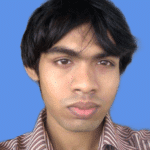 Zabbix package repository should be added. It’s always a good idea to keep the installed Raspbian packages up to date before installing anything new. All the packages are up to date. Once your Raspberry Pi boots, you can install Zabbix on it. 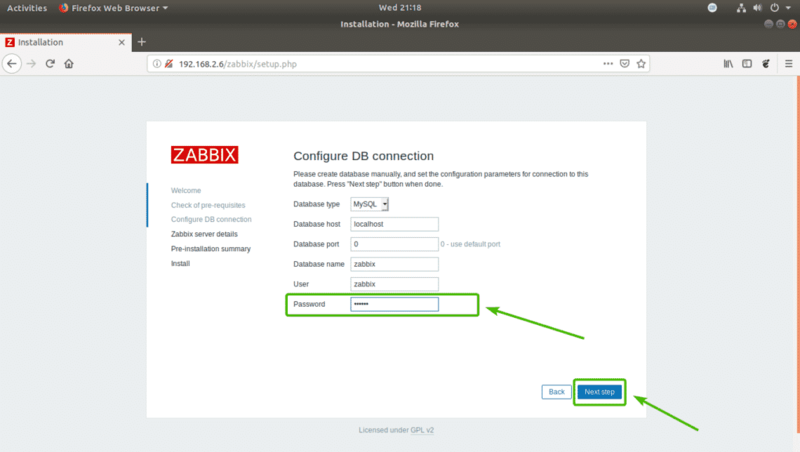 Now, you have to configure the MariaDB/MySQL database for Zabbix. If you have any password set up for MariaDB/MySQL, type it in and press <Enter>. By default, no password is set. So, you may leave it empty and just press <Enter>. 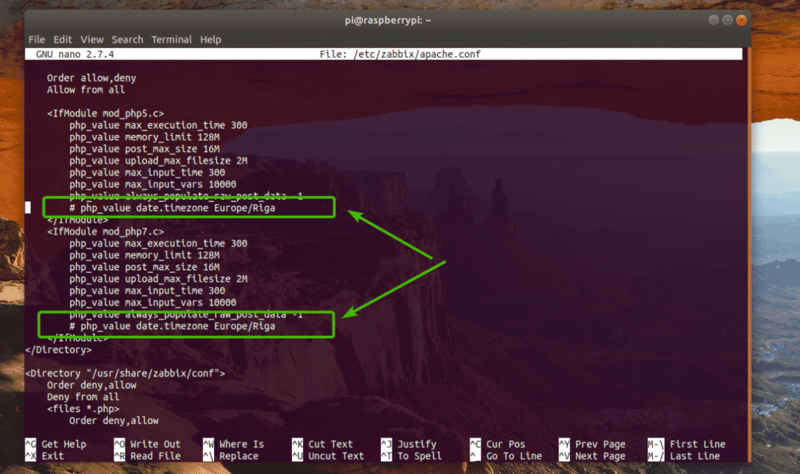 You should be logged into the MariaDB/MySQL shell. Now, create a user zabbix with the password YOUR_PASS as follows. I am going to use the password zabbix to keep things simple. Now, type in the password for your zabbix MariaDB/MySQL user and press <Enter>. 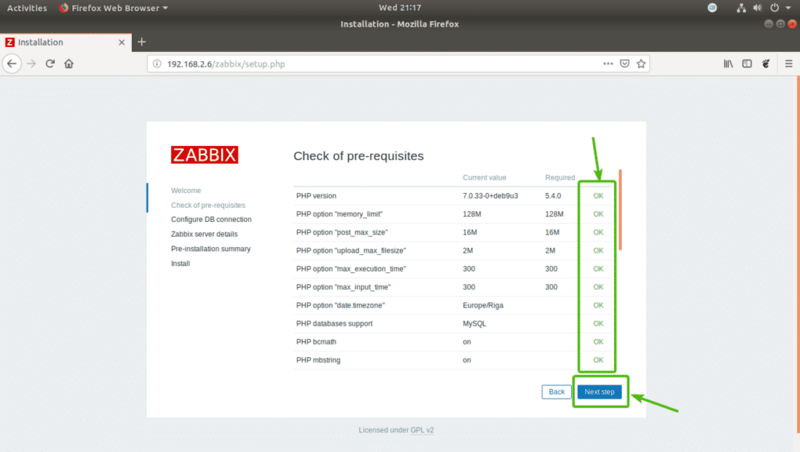 Now, you have to edit the Zabbix configuration file /etc/zabbix/zabbix_server.conf. Now, find the line # DBPassword= as marked in the screenshot below. Uncomment the line (by removing the # symbol) and put the password for the zabbix MariaDB/MySQL user there. The final configuration file looks like this. Once you’re done, save the file by pressing <Ctrl> + x, followed by y and <Enter>. Find the lines as marked in the screenshot below and uncomment them (remove # symbol). Finally, the configuration file looks as follows. Now, press <Ctrl> + x, followed by y and <Enter> to save the file. Add the Zabbix services to the system startup as well with the following commands. 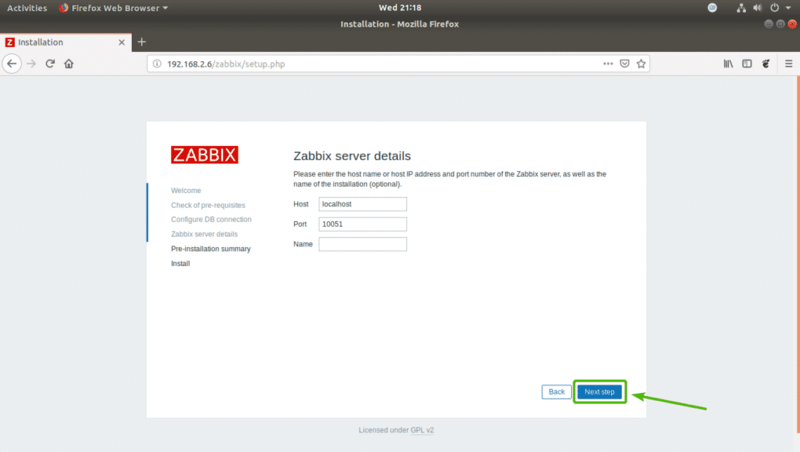 Now, you have to configure Zabbix from the web browser. 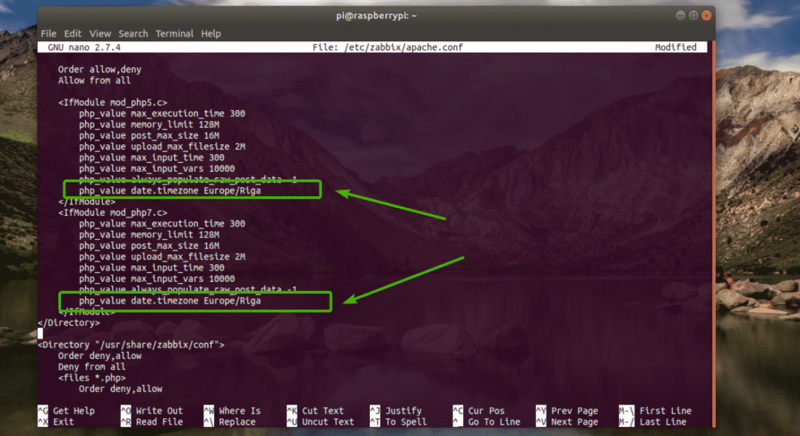 You should know the IP address of your Raspberry Pi already. But if you’ve forgotten, you can run the following command to find it out. The IP address in my case is 192.168.2.6. It will be different for you, so make sure to replace it with yours from now on. Now, open a web browser and visit http://192.168.2.6 and you should see the following page. Click on Next step. Now, make sure all of these lines are OK. Then, click on Next step. 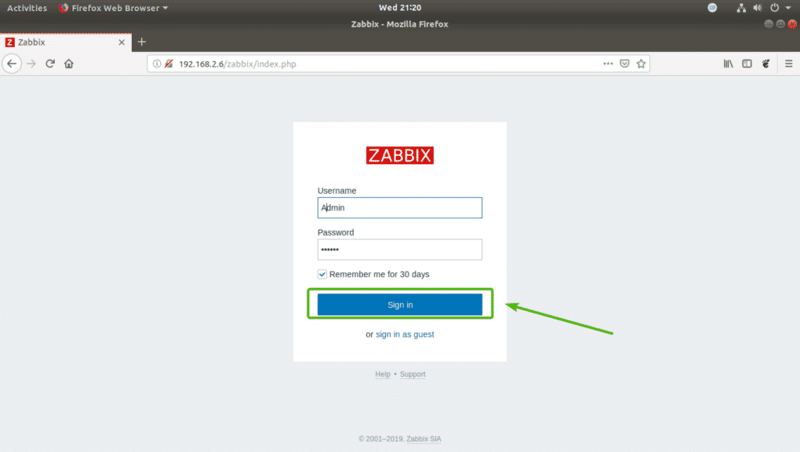 Now, type in the password for your zabbix MariaDB/MySQL database user and click on Next step. Make sure everything is correct. Then, click on Next step. 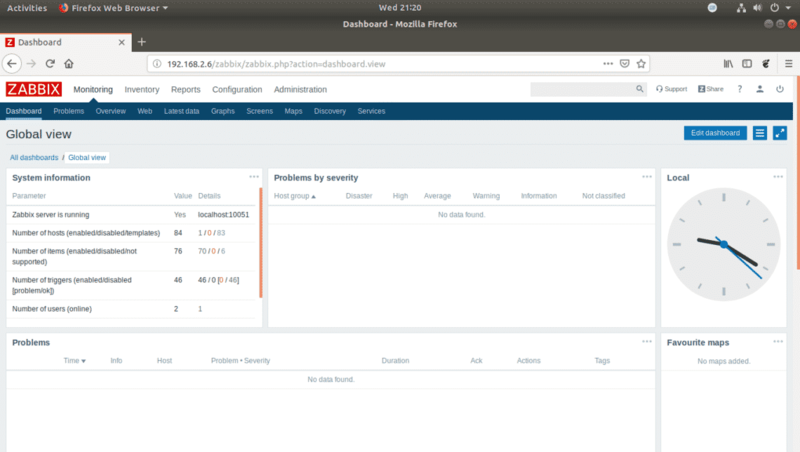 Now, you should be able to log in to the Zabbix frontend. The default user is Admin and password is zabbix. You should be logged in. You can configure Zabbix monitoring tasks from here. 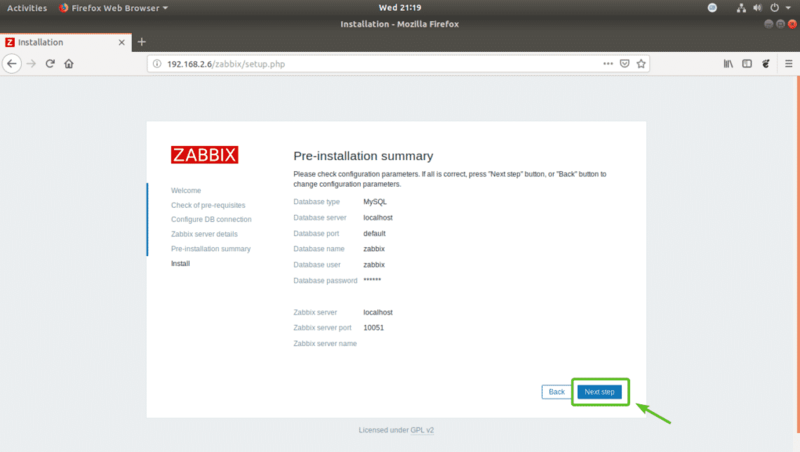 So, that’s how you install Zabbix on Raspberry Pi 3. Thanks for reading this article.